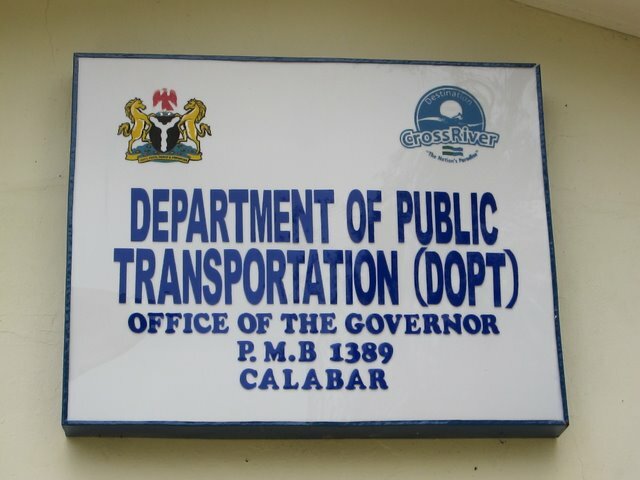 Department of Public Transportation Headquarters in Calabar, Cross River State, Nigeria. Photo by Drew Alt. It’s 4:00 p.m. on a Wednesday and I am sitting shirtless at a hotel in southeastern Nigeria. I am not at the office because electricity from the grid was no longer and there was no diesel for the generator. My laptop gave me the “I need juice, please” message then promptly shut down. I arrived in Nigeria in February 2010 as part of IBM’s Corporate Service Corps, a program that sends teams of “IBMers” for short-term consulting assignments in emerging markets. With me are 14 other top employees from around the world, including Australia, Brazil, Canada, Hungary, India, Japan, Malaysia, Holland, United Kingdom, and the United States. You may be asking yourself, “Why is Drew blogging on TheCityFix”? The short answer is that while conducting research around transportation best practices in the developing world, I was referred to EMBARQ, the producer of this blog, by a colleague who helped implement a bus rapid transit system in Mexico City. The longer answer is that I noticed there was little discussion about transportation systems and issues in Africa on TheCityFix I hope to both learn from and educate others about how issues faced by the Department of Public Transportation in Cross River State, Nigeria, are both similar and different than issues faced in Mexico City, Mumbai, or Washington, D.C. Questions and comments are most welcome.